Interview with YA fantasy author JESSICA THERRIEN! I have been very fortunate to score an interview with YA fantasy novelist, Jessica Therrien, who just came out with her second book in the Children of the Gods series: UPRISING. Please enjoy the interview and check out links at the end to Jessica’s blog and ways to find her books! 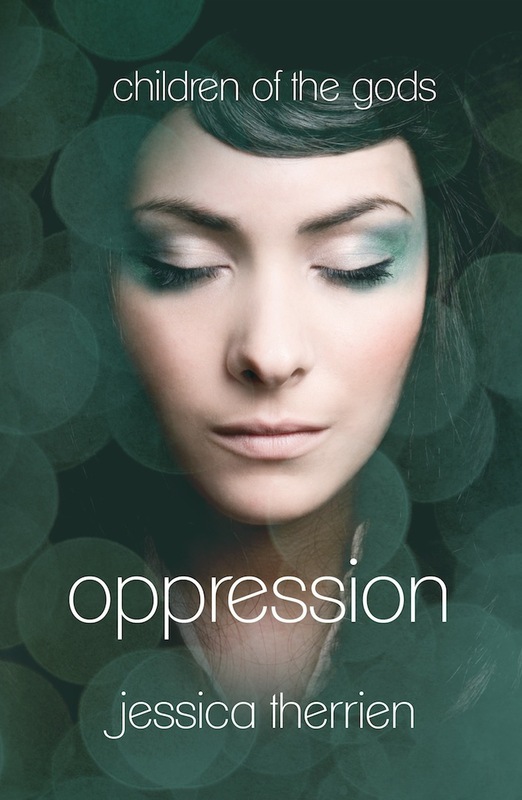 ME: #1) When you began writing Oppression, did you know it was going to be more than one book? Jessica: I had no idea. Honestly, I didn’t even expect my story to become a book. I was just writing for the heck of it. It’s kind of crazy that I’m working on the third one…not sure how that happened. ME: #2) Did you always feel you wanted to go with a traditional publisher (you’re represented by ZOVA books) or did self-publishing ever cross your mind? JESSICA: I didn’t know enough about self-publishing when I started out. Looking back I’m happy with how it went. If I would have known what I know now, I may have considered it. I know a lot of authors who have been extremely successful with self-publishing. In any case, it worked out because I’m great friends with my publisher. ME: #3) What’s your favorite part of Oppression? And if it’s not a spoiler, your favorite part of Uprising? JESSICA: What a hard question! I have so many favorite parts of both books. In Oppression, I do love Lenaia. If you don’t know what that means, you’ll have to read to find out. My favorite part of Uprising is the waterfall scene with William & Elyse. ME: #4) Having a baby in the midst of writing your second book must have been quite a challenge! What sorts of things do you do to manage both things at once? JESSICA: It’s been CRAZY! I do a lot of writing when the baby is asleep (he’s asleep right now *teehee*). It works out because one of my favorite places to write is in the passenger side of my husband’s car. We drive a lot to see family, and the baby loves to sleep on road trips. ME: #5) If you could give three pieces of advice for other aspiring writers, what would they be? ME: #6) If you went back and met yourself 10 years ago, would your younger self have believed all you’ve accomplished? ME: #7) Have you always gravitated toward Young Adult fantasy writing, or are there other areas you explore? JESSICA: I really love YA fantasy, and I’m sure I’ll write more of it, but I’m itching to write my sister’s story. She’s been through a lot. I’m working on that as well, but it is a slow process. Thank you SO much for your time, Jessica! 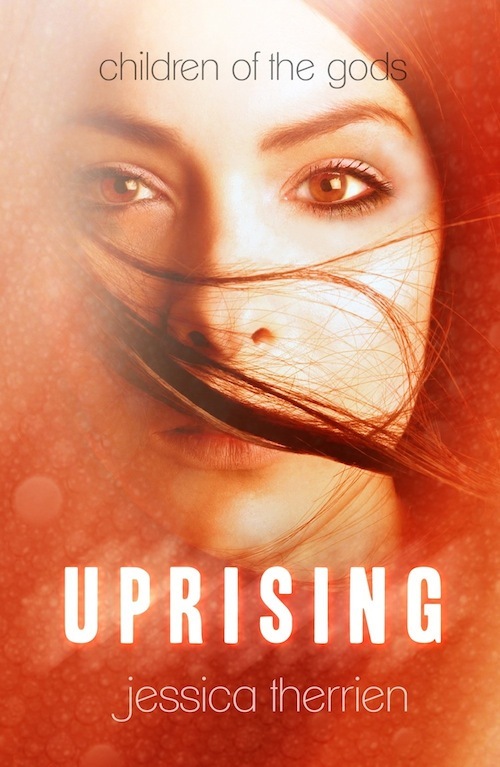 As a fan myself, I just purchased my own copy of Uprising and am super excited to read it! Best of luck with the rest of your blog tour! PS- Coming soon: Fundraising tactics, music for writing, and Hollow follow-on updates! I stopped by Barnes and Noble on Friday and found out it only on Nook. Great idea and gets it out faster to readers. I love the interview how neat Jessica you thought of going to Broadway. You are truly gifted in your writing. I will have to order an autographed book. Wow what amazing interview questions!! I love that Jessica wanted to be on Broadway!! If you’re reading this now do you still have that dream? Is that Jessica on the cover of her books? I WiSH! It’s a model named Rowena Radings. She’s very nice…and beautiful, of course! thanks to both of you for that interview. being past middle-aged, i find it so refreshing to see and hear about young authors, how they go about their craft, and get insight into their creativity. great questions, great answers. Enjoyed reading the interview! I will definitely check out Jessica’s books–I think good YA fiction is some of the best out there and I love finding new authors! I’m curious to learn more about writing conferences. I’ve been to lots of academic conferences and I know the kinds of drinking….er, I mean, OPPORTUNITIES those afford. Are writing conferences all schmoozing, or are there talks and such too? Oh, I do hope you enjoy Jessica’s books! As for the conferences, I can’t speak for all of them, but I had great success with the Southern California Writers Conference. They offer several different panels during the 3-day event that you can attend, writing prompt contests, a chance to meet and greet with other authors, and opportunities to have your work reviewed and critiqued by agents, authors, and editors. It’s where I met my first agent, where Jessica connected with her publishers, and where I encountered people that I’ve kept in touch with to talk about writing and help each other through the whole process. If you can afford it, I highly recommend it! Feel free to email me directly (cyelkoth@gmail.com) if you’d like to talk about it more! Thanks so much! I agree with Christa 🙂 It’s where we met, actually. Hey Jessica! Congratulations again on the release of your second book. I wouldn’t have known enough about self-publishing to attempt it either. And don’t write from the driver’s seat. The ‘don’t edit until your done’ is the best and hardest tip to follow. Your 1st book was fabulous and I can’t wait to read the 2nd. Way to go, Jessica! Oh I totally agree, although I have to admit I don’t always follow that tip! Congrats to your daughter on Zova! I’ve heard nothing but good things about them. « SpringCon 2013 Wrap-Up! With Pictures!